Belgian boxing day football! 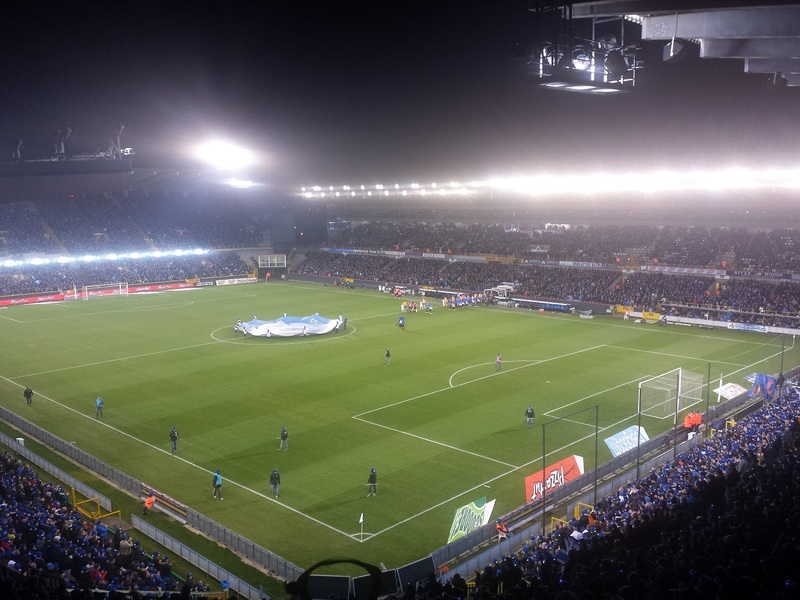 Went with 3 other guys to Club Brugge – Waasland Beveren, which should be an easy game for Club Brugge. 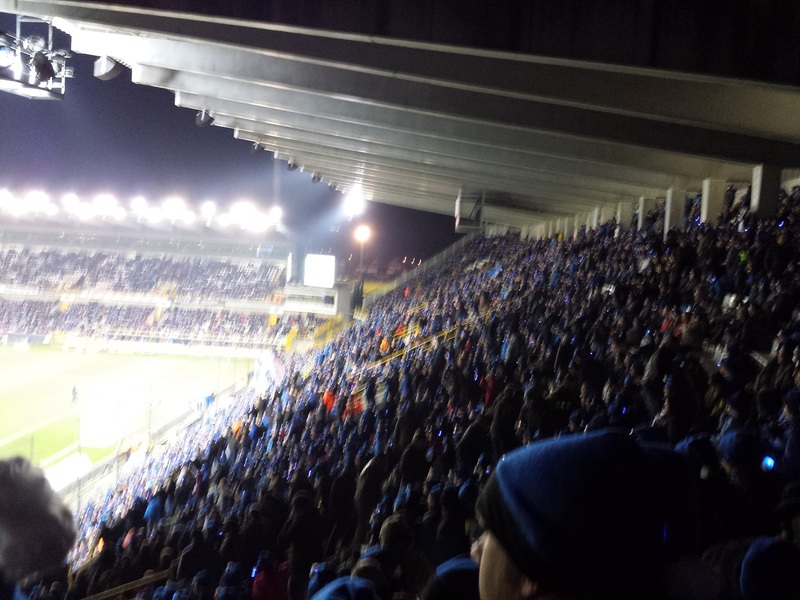 Before the game all fans got a blue-black bonnet because of Christmas, which was a nice action. The game started very well with 2 goals in only 4 minutes, 1-1. 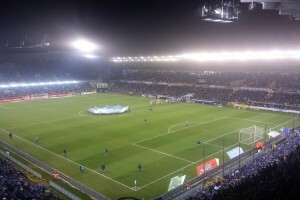 Club Brugge got many chances to score but failed in all of them. 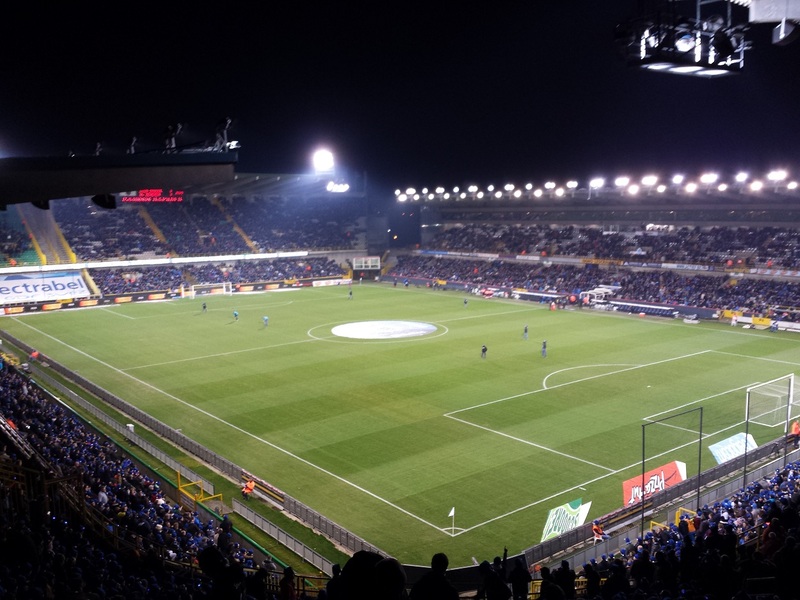 At the start of the second half Waasland Beveren scored a second goal and kept the scoreline at 1-2. The Christmas party all Brugge fans were hoping for got cancelled as many of them were angry because of this horrible game.